Today I would like to go back over the polite form in Italian and give you some further examples of its use, as requested by a lovely reader. I give for granted all the information in the video lesson I made on the topic, so if you haven’t watched it yet, please do it so that you will understand the rest of the post. An example that I didn’t mention in the video is the following: “Vorrei ringraziarla per la cartolina che mi ha inviato”. The translation in English is “I would like to thank you for the postcard you sent me”. 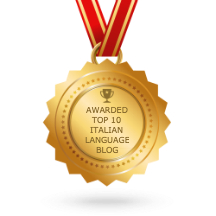 Let’s analyse the Italian sentence: the subject is “io”, so I do the action of thanking the other person. Let’s have a look at the verb: “vorrei ringraziarla“. The polite form is expressed by “la” at the end of the the verb “ringraziarla“. 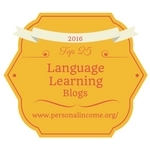 “La” is a direct object personal pronoun, 3rd feminine person singular. Let’s move on to the rest of the sentence: “per la cartolina che mi ha inviato”, that is “che lei ha inviato a me”. “Lei” is the polite form, 3rd person singular in the feminine form. As you have already learned in my video, the polite form in Italian is expressed with the 3rd person singular in the feminine form. Therefore, the sentence above is told to somebody you don’t know very well, hence the use of the polite form in Italian. So, be careful because the sentence does not mean “I would like to thank her for the postcard she sent me”, even though it might at first. Example: “Lei è molto gentile”. In formal context where you are speaking to a person you don’t know, the sentence means “you are very kind” and NOT “she is very kind”. The feminine form is used with both male and female interlocutors! If there is anything you would like me to explain further, please let me know. Dunque si puo dire ad un uomo : Lei e italiana ? 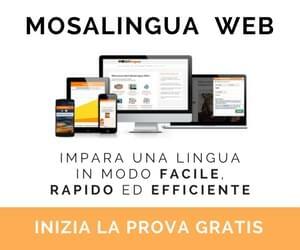 Oppure bisogna dire Lei e Italiano ? Però, per me è più importante conoscere più in dettaglio quando si usa il “Lei” e quando il “tu”. Per esempio: A volte, lego gialli italiani e ho notato che spesso il commissario nei questi libri usa il “Tu” parlando con un poliziotto giovane, mentre il stesso poliziotto usa il “Lei”. Per me, è conturbante. Sono tedesco e nel tedesco c’è anche un sistemo con modi “formali” è “informali”. Però, e assolutamente sgarbato, usare il modo informale parlando con una persona adulta, mentre aspettare che l’altra persona usa il modo formale. È normale in Italiano? Ho anche altre domande su questa tema: Che modo usa normalmente gente chi lavora insieme come collegi: tu oppure lei? Dipende da settore? Ci sono situazioni nelle quale persone che hanno, diciamo, diciotto anni usano il ‘”Lei” l’uno con l’altro? Hai (ha?) voglia di fare un blog post oppure un video su questo tema?